Arc 3 Communications, an Atlanta based agency specializing in content, digital marketing and analytics for clients in politics, public affairs and government is seeking an intern in the area of social media management and analytics. Arc 3 is looking for an intern that would like to further their experience in social media management and implementation and social media data analysis in the political, public affairs and government space. Desired skills include knowledge of content creation, social media management and analytics tools. Knowledge of monitoring tools such as Radian6, Sysomos and Crimson Hexagon is a plus. Internship would be part-time or full time virtually or at our incubator space, with mentoring from Arc 3’s leadership. Applicants must be a current college undergraduate or graduate student. Academic credit can be arranged for internship. We are a startup with a bold vision. If you are looking to gain professional experience in politics and public affairs while learning innovative ways to use social media and analytics, please contact our Founder, Patrick Burns at pburns@rare-light.flywheelsites.com. Arc 3 is looking for an intern that would like to further their experience in social media management and implementation and social media data analysis in the political, public affairs and government space. Desired skills include knowledge of content creation, social media management and analytics tools. Knowledge of monitoring tools such as Radian6, Sysomos and Crimson Hexagon is a plus. Internship would be part-time or full time virtually or at our new incubator space, with mentoring from Arc 3’s leadership. We are a young startup with a bold vision. If you are looking to gain professional experience in politics and public affairs while learning innovative ways to use social media and analytics, please contact our Founder, Patrick Burns at pburns@rare-light.flywheelsites.com. Arc 3 is looking for an intern that would like to further their experience in social media management and implementation and social media data analysis in the political, public affairs and government space. Desired skills include knowledge of social media management and analytics tools and a strong desire to learn. Knowledge of tools such as Radian6, Sysomos, Crimson Hexagon and HootSuite is a plus. Internship would be part-time or full time virtually or at our new incubator space, with mentoring from Arc 3’s leadership. Applicants must be current college undergraduate or graduate students. Academic credit can be arranged for internship. We are a young startup with a bold vision. If you are looking to gain professional experience in politics and public affairs while further learning innovative ways to use social media and analytics, please contact our Founder, Patrick Burns at pburns@rare-light.flywheelsites.com. 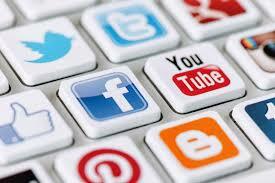 Mashable reports on 9 ways that social media will change in 2014. New ways include the rise of graphic software and the use of visual content to support social media platforms such as Pinterest and Tumblr. In the Guardian, Scott Monty, who heads global digital communications for the Ford Motor Company, explores the question of whether or not marketers can learn digital restraint. Monty advocates for a less is more strategy for marketers. Social Media Today offers six social media mistakes to avoid in 2014, which include many recommendations for digital restraint. These include avoiding tweeting too often, using too many hashtags and joining too many social media websites. Huffington Post reports on 15 photos from the U.S. Department of Interior Instagram account that will make you want to travel the country. The Department of Interior account has over 200k followers and includes scenic photos from the public lands, national parks and wildlife refuges that it manages. Associations Now offers advice on how to handle the good, the bad, and the ugly of online comments on a trade association’s website, social media or blog. The New York Times reports on the Twitter conversation surrounding the President’s State of the Union address and how the White House’s bully pulpit has lost its strength due to other voices shaping the conversation. ABC News interviews Adam Sharp, Head of Government and Non-Profits at Twitter, regarding how Twitter will continue to shape political discourse, campaign advertising and election 2014. 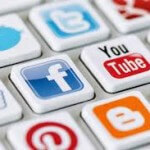 Social Media Today explores 5 ways in which social media will change political campaigns in 2014. One of these ways includes the greater use of visual and video content on campaign social media networks. In Huffington Post, Milind Deora, India’s Minister for Communications, explores the impact of social media on electoral politics in light of the upcoming elections. Deora points to social media’s effectiveness in raising issues, but questions how it may be affecting the quality of political discourse and disrupting the social order. These were some of Arc 3’s most interesting reads in digital and social and public affairs in early 2014. What were your favorite stories? Let us know. We’d love to hear from you. Instagram is one of the fastest growing social media platforms. Taking quick snapshots or 15 second videos and applying funky filters of different colors and hues and sharing them with your friends isn’t just for hipsters any more. More and more politicians are joining Instagram to reach out to voters in a more personal way through photos and videos. With its acquirement by Facebook and the addition of short video capabilities to the platform, Instagram is a powerful tool for helping politicians reach the ever growing mobile audience. Instagram’s new 15 second video feature is ideal for mobile video watching and integrates seamlessly with other social networks for instant sharing. The top ten most liked political photos on Instagram are shared by the President’s account. These photos range from a “Thank you” photo on Election Night with 294k likes to birthday wishes for the President with 86k likes. Upon the President joining Instagram, the social media platform announced that “We look forward to seeing how President Obama uses Instagram to give folks a visual sense of what happens in the everyday life of the President of the United States.” So far the President’s team has done that and more. The former Governor of Massachusetts and Republican nominee for President has the second largest following of a politician on Instagram. The account largely contains photos from campaign stops during the 2012 Presidential election with his last post being November 6, 2012. The most popular photo on his account was a get out the vote photo on election day that received over 17k likes. The 43rd President has taken to painting and his artistic talents show in his Instagram account. Posting touching photos of family and new grandchildren, he also adds in beautiful landscapes of his native Texas. The former Texas Rangers owner’s love of sports is also on full display with photos of trips to professional football and baseball games. The former Mayor of Newark and newest member of the U.S. Senate is also one of the most adept at using social media for civic engagement, responding to constituent requests and comments personally. Senator Booker’s Insta feed contains a wide variety of content, including savvy use of short video and uploading of press clips. The House Majority Whip, McCarthy was recognized by BuzzFeed as the best Republican Congressman on Instagram. McCarthy’s Insta feed is full of photos of D.C.’s who’s who, his family dog and “Throwback Thursday” photos of his family. McCarthy’s video of playing Frisbee with the family dog received over 2k likes. The potential 2016 candidate for President and Republican Governor of New Jersey has a balanced mix of celebrity photos, family “Throwback Thursday” photos and behind the scenes photos in his role as Governor. Governor Christie’s photo shares reflect his team’s understanding of emotion and imagery to garner support on social media. Having completed his term as Mayor of the Big Apple, Bloomberg has set up a philanthropic foundation to advance his favorite causes. His Insta feed is loaded with photos of groundbreakings, ceremonies and events in the performance of his duties as Mayor. Since leaving the Mayoral office, he has posted a stream of photos related to his campaign for immigration reform, Iamimmigration.org. The former Congresswoman from Southern Arizona retired from Congress after her courageous return from a 2011 shooting that nearly claimed her life. Founder of the PAC, Americans for Responsible Solutions, Gifford’s Instagram account is full of photos of her advocacy work. The Speaker is the king of ‘Throwback Thursday”, posting photos ranging from his high school football days under legendary Coach Gerry Faust to school field trips to family photos with his brothers and Santa Claus. The photos personalize one of the most powerful men in the country, who is 2nd in the line of succession to the Presidency. His Insta feed also includes hundreds of behind the scenes photos of his official duties as Speaker. The 32 year old Army veteran, surfer and representative from Hawaii’s 2nd Congressional district is one of the rising stars of the Democratic Party. Her Insta feed is chalked full of beautiful Hawaiian landscapes as well as behind the scenes photos of her duties as a Congresswoman for the Aloha state. A fitness enthusiast, the Congresswoman’s account has photos of her many physical activities such as running, hiking, sking, and yoga. At the start of 2014, these are the top ten politicians on Instagram. As social media continues to become more and more visual, we expect more politicians to adopt Instagram as a necessary part of their social media efforts. Who are your favorite politicians on Instagram? Let us know! Inc. asserts that SEO is dead due to recent Google algorithm changes and offers suggestions for what is taking its place. TechCrunch reports on Google’s testing of paid +post ads for Google+ content with launch partners Toyota And Cadbury. The Wall Street Journal looks inside a Twitter robot factory, and how fake activity influences trending topics. DigitalGov analyzes Facebook’s News Feed Algorithm update and what agency social media managers need to know about the change that is designed to produce more high quality news content. In GovLoop, Dannielle Blumenthal, Director of Digital Engagement for the National Archives and Records Administration, offers her top 10 principles for Federal digital engagement in FY2014. On U.S. Navy Media Blog, Sandy Gall, a member of the Navy’s emerging media team and a part of the Navy’s response on Twitter, shares what the team learned from its crisis communication during the Washington Navy Yard Shooting. Twitter announces the top tweets in government and politics in their “#YearOnTwitter” review for 2013. The Guardian offers five ways political parties can engage more people in policymaking. TechPresident reports on the demise of the non-partisan political social network Ruck.us founded by Nathan Daschle. These were some of Arc 3’s most interesting reads in digital and social and public affairs over the last month. What were your favorite stories? Let us know. We’d love to hear from you. Business Insider provides an analysis of social media demographics and the surprising identity of each major social network. Gigaom reports on Google’s new ad policy and how to avoid appearing in Google ads. Nextgov reports how thwarted users vent about the Obamacare website on Facebook. The Atlantic Magazine reports how the City of Chattanooga, Tennessee developed its own font “Chatype” through a Kickstarter campaign. Nextgov reports how Congress.gov replaces Thomas.gov as the source for legislative bills and committee information on Capitol Hill. Advertising Age examines how data is redefining political TV ads. TechPresident analyzes the role of digital and big data in election 2013. Politico reports how Twitter is a mixed blessing for political flacks. In a Foxnews.com opinion piece, John Jordan, a member of the Hoover Institution’s Board of Overseers at Stanford University, offers a donor’s guide to making your money count in politics. These were some of Arc 3’s most interesting reads in digital and social and public affairs over the last month. What were your favorite stories? Let us know if there is a neat story that we missed! We’d love to hear from you. With the 2014 election approaching, the role of state party organizations will become increasingly important as the primary election season ends and the general election season begins. Most of the primary election season wraps up by June with the majority of states concluding their primaries. In the 2012 election, the Obama campaign skillfully used social media to target key constituency groups, amplify its message and get out the vote. It was commonly acknowledged that a “geek gap” existed between a more tech savvy Democratic Party and the Republican Party. The Republican Party conducted a months’ long review of the 2012 election that resulted in a report entitled “The Growth and Opportunity Project”. How have the parties across the country done at the state level socially in 2013? Does the “geek gap” still exist? Arc 3 looks at the top ten most social media savvy state party organizations. The list was compiled analyzing the Klout scores and number of Twitter and Facebook followers for all of the state party organizations for all 50 states. 1. Michigan Republican Party (Klout score 66) Led by Chairman Robert Schostak, the party has over the years been a leader in innovation and recently held its 30th Biennial Mackinac Republican Leadership Conference where insightful technology panels were held. The Michigan GOP is the most social media savvy state party in the country with over 8K followers on Twitter and 11K likes on Facebook. 2. Texas Democratic Party (Klout score 65) Led by Chairman Gilberto Hinojosa, the party’s social media prowess was on display nationally with the ascendency of State Representative Wendy Davis’ filibuster into the national spotlight through the Twitter-verse. The Texas Democratic Party is at the social media forefront with over 14K followers on Twitter and 51K likes on Facebook. 3. Florida Democratic Party (Klout score 64) Led by Chairman Allison Tant, the Democratic party of Florida operates in a state that has long been on the national radar, especially since the 2000 Presidential election where the state decided the Presidency. With 24K likes on Facebook and over 17K followers on Twitter, the Florida Democratic Party shows that it is innovative in its use of social media. 4. Florida Republican Party (Klout Score 64) Led by Chairman Lenny Curry, the Florida Republican Party is tied with its competitor, the Florida Democratic Party, in the area of social media strength and innovation. The Florida GOP has over 15K followers on Twitter and 15K likes on Facebook and will need to utilize its social media strength in what is shaping up to be a competitive election year. 5. Georgia Democratic Party (Klout Score 61) Led by new Chairman DuBose Porter, the Georgia Democratic party has been wrought with internal controversy that led to the resignation of its most recent Chairman, Michael Berlon. Despite serious financial woes, the Democratic Party of Georgia has a strong social media presence with over 10K followers on Twitter and 12K likes on Facebook. 6. Virginia Democratic Party (Klout Score 61) Led by Party Chair Charniele Herring, the Virginia Democratic Party is coming off a successful election year in 2013 with the election of Democrats to Governor and Lt. Governor. With over 7K followers on Twitter and 10K likes on Facebook, the Virginia Democratic Party’s effective utilization of social media was a part of their victories in 2013. 7. California Republican Party (Klout Score 61) Led by Chairman Jim Brulte, the California Republican Party has a rich GOP tradition, but in recent modern times, California has been a blue state. With over 13K followers on Twitter and over 9K likes on Facebook, the California Republican Party has in place the channels to begin to get its message out and rebuild. 8. North Carolina Republican Party (Klout Score 61) Led by Chairman Claude Pope, the North Carolina GOP operates in a red state whose influx of new residents and changing demographics has resulted in some success for the Democrats at the state-wide level, though not consistently. The NC GOP has a strong social media presence with over 10K followers on Twitter and over 10K likes on Facebook. 9. Republican Party of Virginia (Klout Score 60) Led by Chairman Pat Mullins, the Republican Party of Virginia has faced challenges in recent elections. Once a reliably red state, Virginia has become a purple state. With over 5K followers on Twitter and 8K likes on Facebook, the Republican Party of Virginia is one of the most social media savvy state parties in the country despite its recent losses. 10. Missouri Republican Party (Klout Score 60) Led by Chairman Ed Martin, the Missouri Republican Party has the advantage of a state that has been growing Republican over the years. With over 5K Twitter followers and 5K Facebook likes, the Missouri GOP effectively and consistently publishes content that results in the ability to recruit volunteers, donors and supporters. At the near the end of 2013, these are the top ten most social media savvy state party organizations in the U.S. The list reflects gains by Republican state party organizations that have strengthened their social media presence for what will be a very competitive upcoming election year. America remains an evenly split country as far as party identification. No one party dominates. However the state parties that leverage the power of social media for message amplification, get out the vote and targeting efforts can do much to move the needle in their respective state.